Before I arrive in a new city or country I usually have a picture in my head of what I will think it will look like. There is always something that I seem to miss in my imagination. While on my way to Hong Kong I was imagining a big city with lots of tall buildings as far as the eye could see. While my idea was mostly correct, what I didn’t realize was how green it would be there. 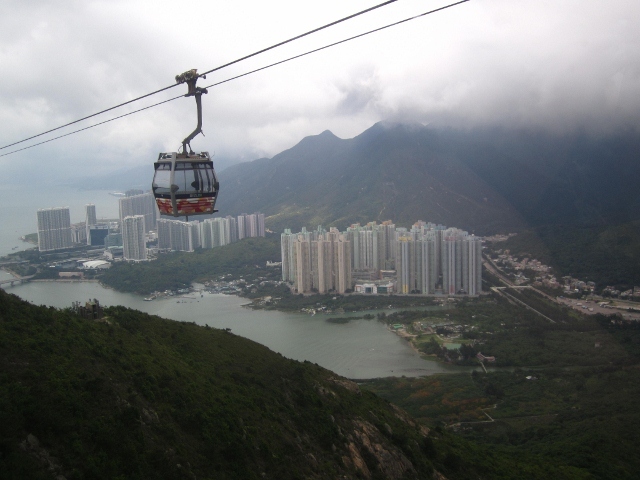 Hong Kong is an extreamily beautiful city surrounded by green mountains. Surprisingly it is a great place to spend time in the park, relax at the beach or go on a hike. One day I took a ferry out to Lama Island, and spent a hot afternoon hiking across the Island to a fishing village on the other side. There were trees and flowers everywhere and I saw snakes, butterflies, birds and lizards. Another spot that I really enjoyed was the Nan Lian Garden a public park. 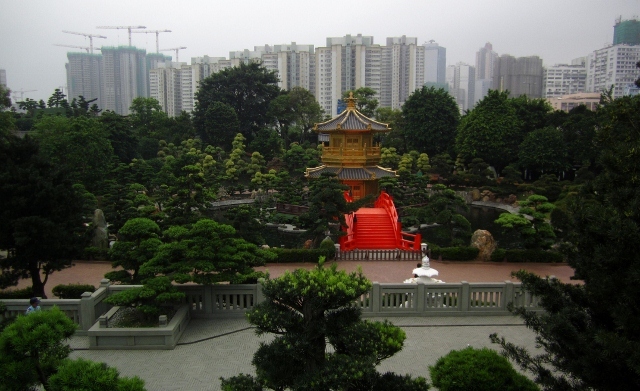 It is an ancient styled garden with the backdrop of city skyscrapers. It is a very peaceful place to visit and I particularity enjoyed the lotus pond filled with blooming flowers. I stopped in at a restaurant built behind a man made waterfall for some delicious vegetarian cuisine. The best part about Hong Kong was having my Canadian friend Danielle, who has been living there for 9 months teaching English, show me around. I got to experience the big city nights and even made it to the iconic Wednesday night Horse Races at Happy Valley race Track where I won 21 Hong Kong Dollars betting on the race (after spending 40). 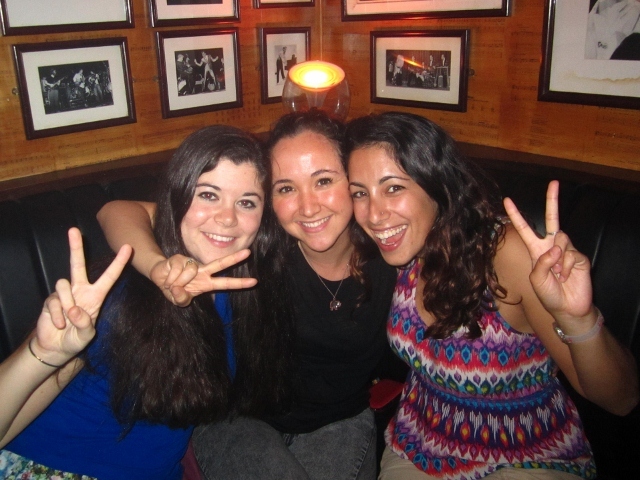 I had a fabulous time in Hong Kong and it was a great to end my trip on such a positive note.